Mirjam started her career in the Swiss insurance sector in 2001. Between 2003 and 2005 she worked as an Insurance Executive for one of the leading captive managers in Dublin, Ireland, managing global insurance programmes for several multinational clients. After returning to Switzerland, she joined VZ Insurance Services AG in 2007 and is a member of the marketing and branding committee of Worldwide Broker Network (WBN) since. Her experience includes P&C underwriting, claims handling, captive management and life insurance handling as well as website management, international event planning and coordination. 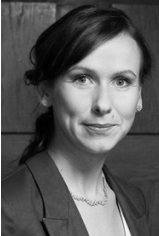 Mirjam has worked directly with insurance clients and undertaken training for colleagues and clients. She works well under pressure and can operate with different types of organisations and their people at many levels. Mirjam holds a food and catering specialist degree, BBA degree in marketing and logistics and a MBA degree in marketing and management. She has a good understanding of different European cultures and countries and has good communication skills including fluent English, German, Finnish, Estonian and beginners’ level in French and Russian. MLo Global Coordination is passionate about making a difference. MLo GC will coordinate, plan and execute the events on your behalf.